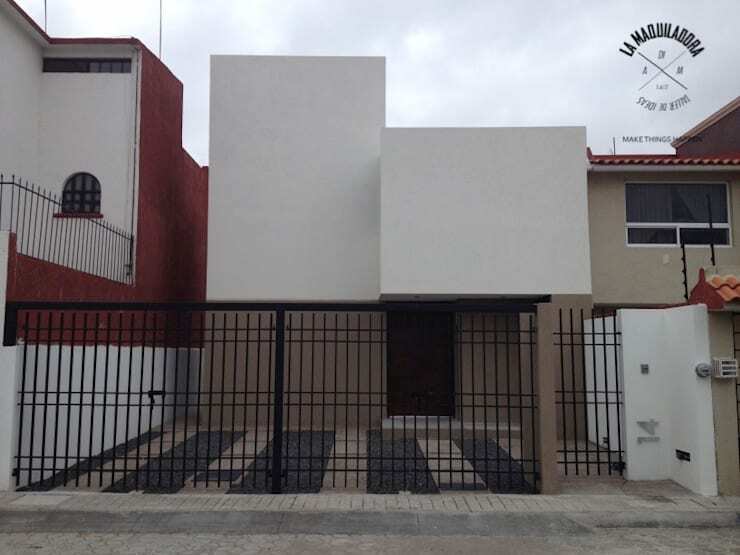 Santiago Pardo Architects were the creators of this little house, which has a contemporary Mexican architectural style, playing with the position of the planes in its main façade. The set of textures and colours employed enhances the beauty of this fantastic home. 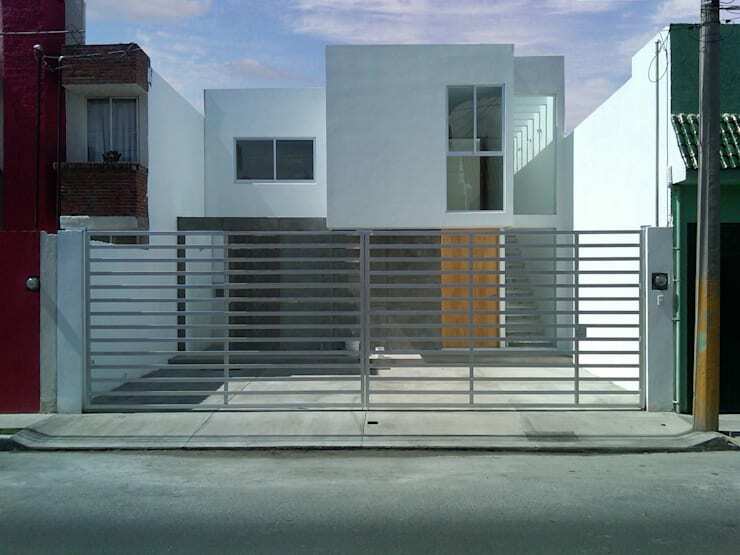 Here we have the House Bilbao, a small residence in Celaya, Guanajuato, which focuses on the life within it. Showing a beautiful facade to the outside world, the structure has almost zero communication from the private indoors to its surroundings. The accent of the wooden door highlights this composition of a small but beautiful house. 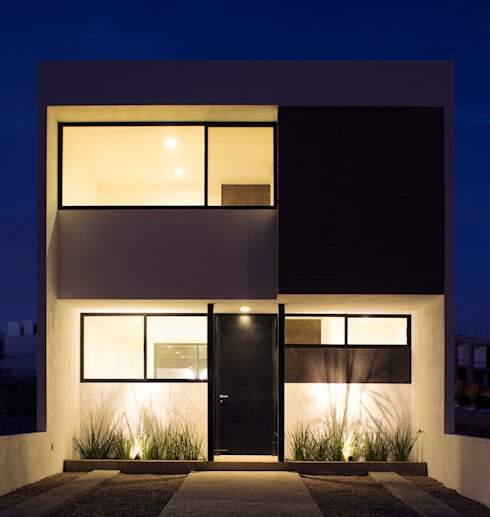 Here we have a house which is minimalist, modern, and composed of three main bodies—one prism at the bottom and two cubes on the top floor, which are arranged in such a way as to create living spaces, and a garage for two cars at the front of the house. 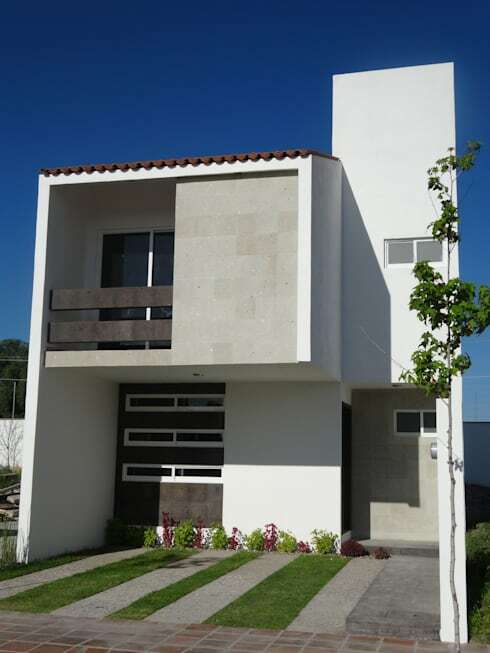 Next, we find this house consisting of a set of volumes that not only manages to present a great architectural composition, but also allows for the creation of some balconies and terraces within it, which substantially raises the quality of life and sense of well-being of its residents. 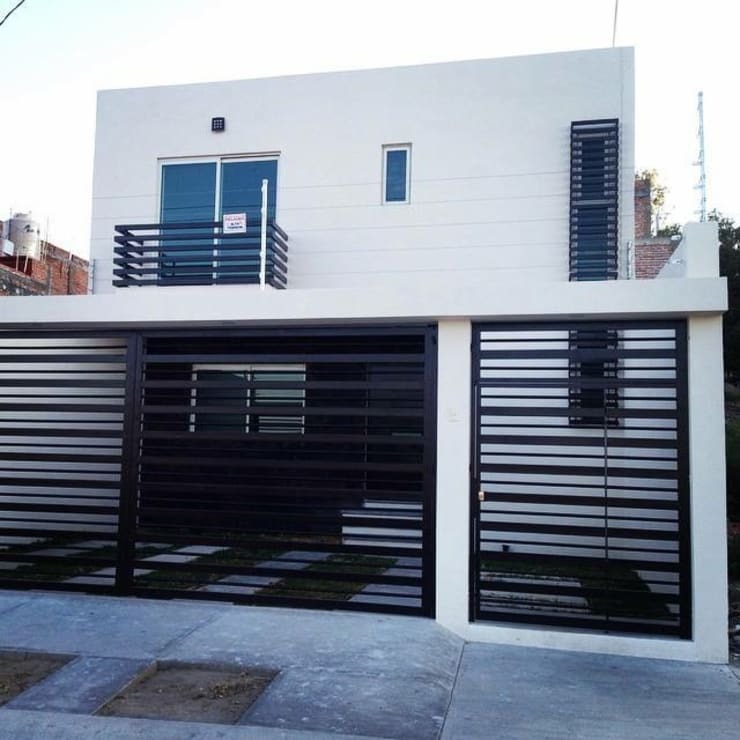 Now visit this project by Architech Group, who could find an optimal distribution of a home in a space of 130 square meters with a simple design and prominent aesthetic details. 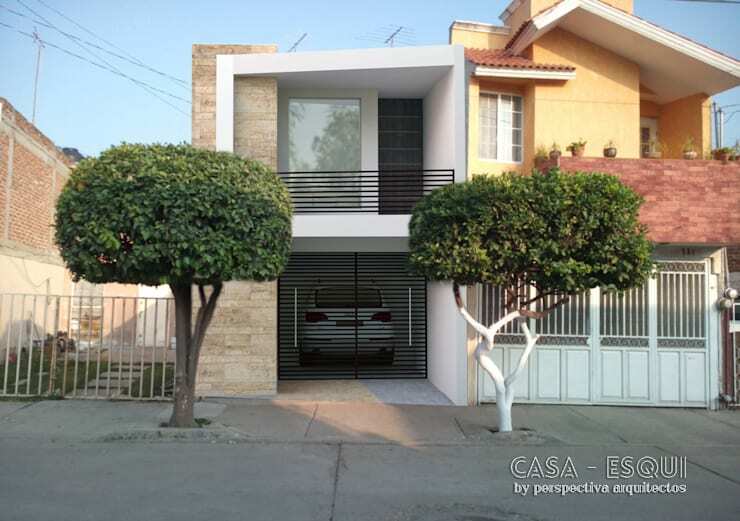 They included a garage, living room, kitchen, dining room, two bedrooms and a bathroom in this small house with a tasteful and discreet style facade. Now we visit another compact home which, despite being in a tight spot, had every square meter available maximised. 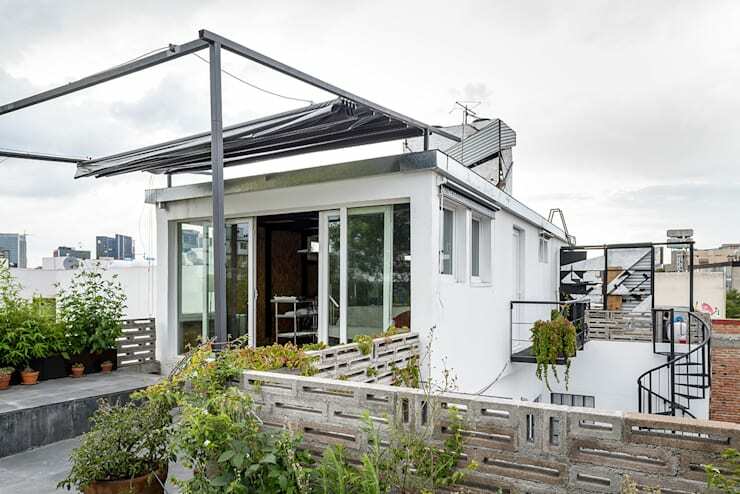 A base of 70 square meters became a modern 2-storey home with clean design lines and a contemporary character. A beautiful balcony graces the front of the house, giving it a feeling of spaciousness. 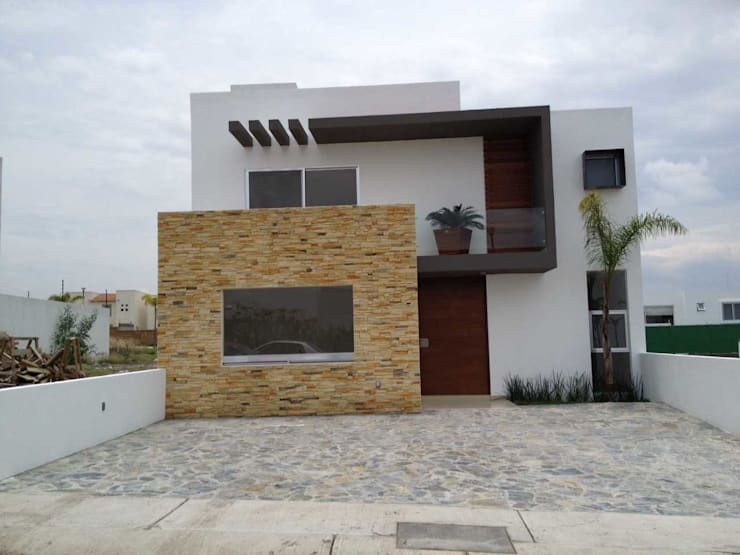 Region 4 Architecture designed this beautiful and minimalist house with a very simple character, clean lines, right angles and an elegant simplicity that lies in the practicality of its design as well as the proper use of the fundamentals of architectural design. The result is a project of great presence and originality. This house was conceived under the concept of maximising the views of the surroundings, despite having few square meters available on the property. The architects managed to create a very original house with traditional touches, such as a pair of sloping roofs covered with tiles, which give it a modern-traditional character that distinguishes it from its contemporaries. 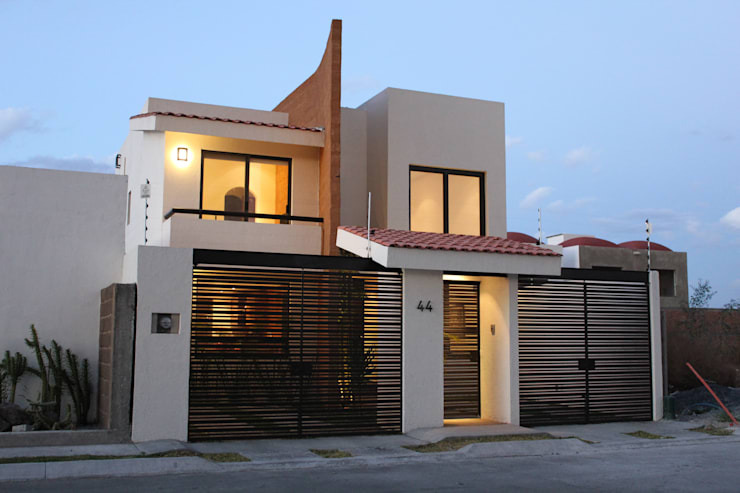 Here is a house which combines contemporary and traditional design in a minimalist style, an amalgam resulting in a very attractive aesthetic which fits nicely with the size and proportion of the residence. 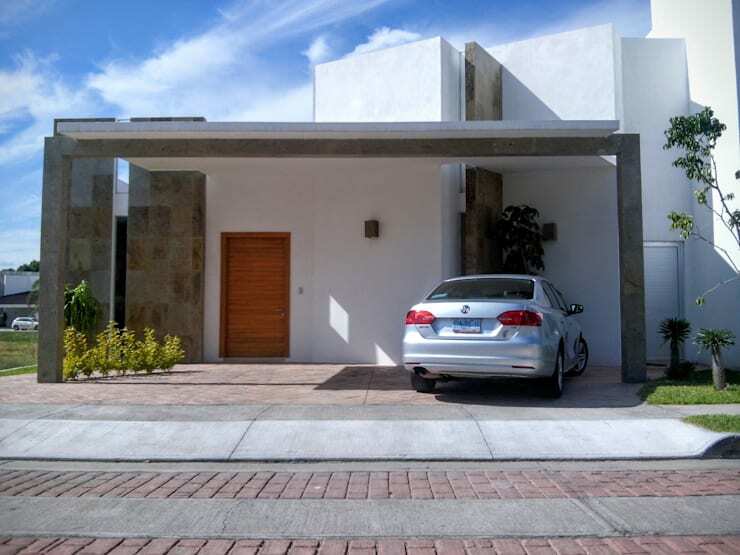 The simplicity of its facade gives a unique visual appeal that is accentuated by the use of exposed concrete and tiles to cover it. Number 10 has a totally minimalist design with a blind facade, which protects the privacy of its inhabitants and bringing the life of the residence inward. 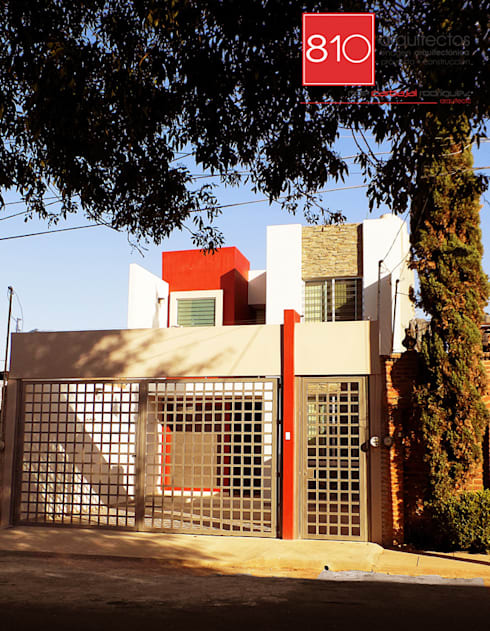 It is a residence with a very simple design based on superimposed cubes that really distinguishes itself from any other house located in the neighbourhood. 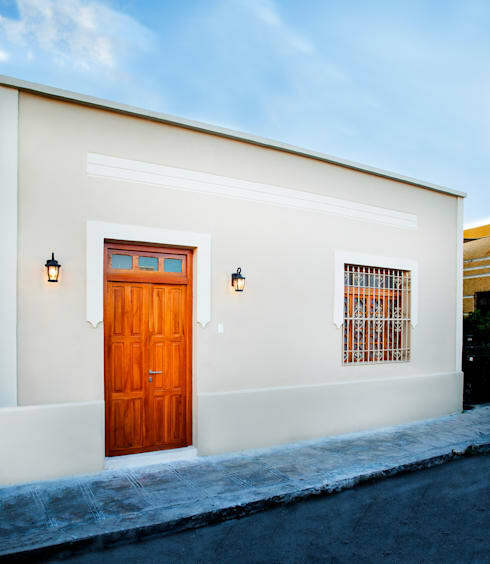 Our next stop is in Merida, Yucatan, where we find House FS55, a renovated residence in the city centre, with its small size highlighted in the neighbourhood where it is. Thanks to the intervention that took place, could recover something of the colonial heritage where the house is located, and devoted themselves to rehabilitate and rebuild the house, instead of integrating new elements into its design. Our last example is that of a home that prioritises energy efficiency. Made under the German Passivhaus standards, this house is quite unique, and we hope that this kind of constructive methods expands across the world. Speaking about energy-efficiency, take a look at these: 8 tips to make your own home more energy-efficient! Which facade for a small house did you like best?